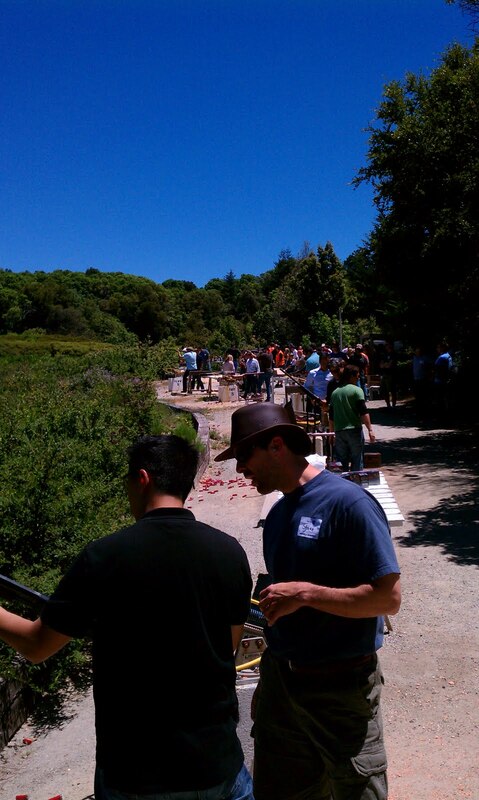 Brilliant sunshine and blazing temps provided the perfect backdrop for MerchantCircle's 3rd Annual Shotguns and Chardonnay Event, taking place yesterday afternoon at the Los Altos Rod and Gun Range. Over 150 of the Vally's best and brightest turned out to fire off some rounds in between networking and noshing on sweet BBQ bites provided by former Google chef turned local business owner, Dontaye Ball. 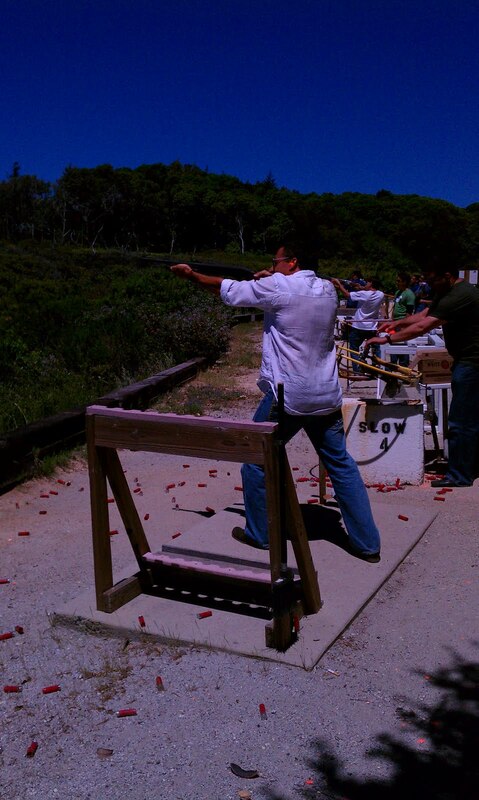 Silicon Valley investors and entrepreneurs are known for being straight shooters- we had no idea how true this was! At any given moment one could turn his/her head and see exploding clays in every direction. From tech to targets, we're a well-aimed group. 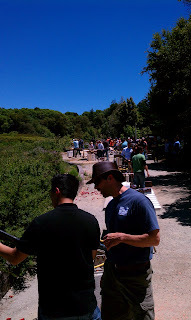 As the afternoon moved from firearms to Fruit-forward, the staff at Savannah Channelle Vinyards graciously welcomed us into phase 2 of this day-long event. With sweeping views of the Valley and chilled Chardonnay in hand, we compared sunburns and start up stories. The day wrapped with a visit from the famous Mis Anajitos taco truck and our satiated guests left with full bellies and great business ideas. 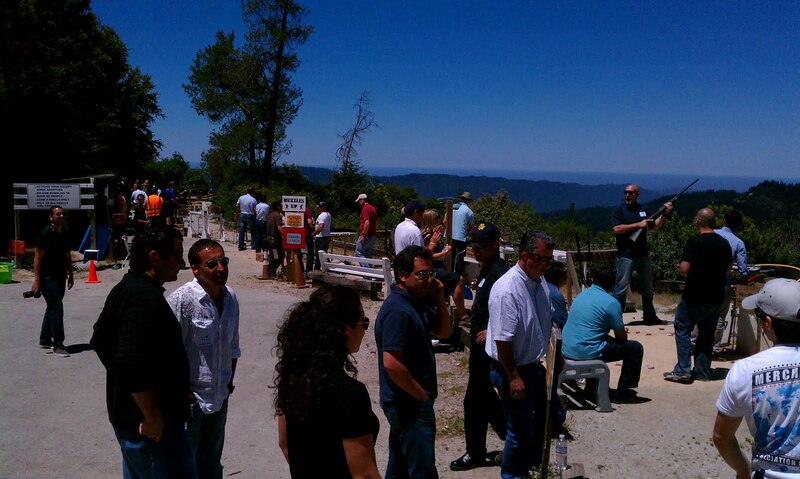 Thank you to everyone who attended for making this event such a successes!